A collection of the best stories shared throughout the 114 years of Field & Stream magazine, about big game, loyal friends, and the respect that nature commands. 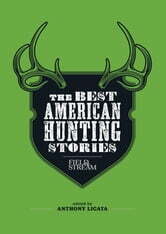 From the absolute authorities on outdoor sports and adventure who have earned a reputation for quality writing, plus classic tales from literary greats, The World’s Best Hunting Stories brings together the most talented, engaging, and experienced voices to share their stories from the field If there’s one thing hunters and non-hunters alike can share, it’s the love of a good story. 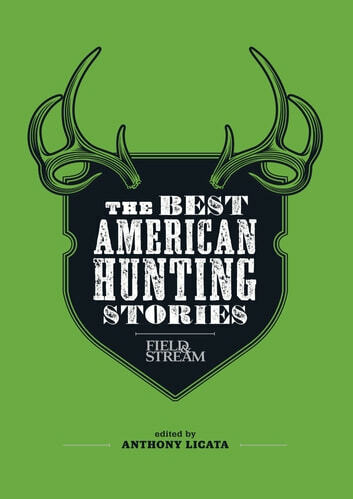 From the annals of the world’s leading outdoor magazine comes this collection of the Field & Stream editors’ favorite true-life tales: record harvests and sassy trail guides; bear drives and dicey bowhunts; fond (and surprising) memories of a first elk hunt; poachers in Africa; caribou on tribal lands; replicating moose mating calls; and the one that got away. With chapters entitled, “The Way of the Hunter,” “The Thrill of the Kill,” and “Off the Beaten Path,” there’s a story for every hunter, outdoorsman, and adventure enthusiast.